Is downsizing to a condo a smart option? There comes a time when the kids have moved out, you need to buy a more manageable place and sell that family home. But how does one properly prepare for downsizing? It is said that Canadians over 65 made up 26.1% of condo dwellers and The Conference Board of Canada has said that more than 80% of new housing demand will come from those over the age of 65 in the next 20 years. But don’t wait that long, Condo Culture has some pretty awesome developments coming in the next 2 years that could be a great fit if you are considering downsizing in the near future. Downsizing to a condo has many benefits and perks for all age groups. The condo lifestyle allows you to enjoy a vibrant upbeat lifestyle and its nearly completely maintenance free giving you more time for new hobbies, more time with family or simply locking the door and travelling the globe. Many downsizers are able purchase their dream condo for less than they sold their home for allowing them to bank thousands and sometimes even hundreds of thousands of dollars in equity. Savings that go a long way towards supporting your retirement goals. Like all major decisions, it's important to review your finances for the transition. It's always prudent to sit down with your financial advisor to get a better handle of your overall financial picture and goals before starting your condo search with us. It’s crucial to have a clear financial plan to understand what you can afford and how the transition will support your overall financial and lifestyle goals brought retirement. We're here to support you with all of our expertise and do whatever is necessary to help you make the smartest possible decision. Condos come in many different styles, sizes and price points from sprawling top of the line penthouses to efficiently sized and priced 2 bedroom units. Always remember to stay within your comfort zone and try not to get tempted by what is out there. There's something for everyone and you're sure to find something that fits you and your plan perfectly. Stick to your plan and go! Think of downsizing from a house to condo as a fresh chapter in your life. This is a lifestyle choice. When separating yourself from your belongings in your current home, it’s smart to get a REALITY CHECK from someone close to you before moving. A good friend or family member can help you in letting go of the things that have lost significance and are now just hanging out at your place. You don’t want to have a hoarders home in a condo. Everything in your new home should be practical and allow you to move onto this exciting new chapter with a clear mind. Remember, one man's garbage is another man's treasure. So, make plans to give things away to charity or plan a garage sale before the move to help make the most of the transition. Most people that downsize are shocked that the square footage isn’t really what they expected after seeing the photos of some units while being surprised at how spacious other units are in person. Keep an open mind and start fresh! Buy new furniture that suits the new space and make it your own. The key is to carefully understand the difference between what you think you want and what you actually need. When buying a condo, you're buying convenience and lifestyle. No more household duties like shoveling the snow, maintaining the garden or cutting the grass. You’ll have access to great amenities within your condo building. Regardless of what stage you're at in life, condo living is about having more time to do the things you truly enjoy, being stress free and appreciating the peace of mind that comes from its convenient, carefree lifestyle. It doesn’t matter if you are 18 years old or 65 years old. Downsizing to a condo should be a liberating feeling for everyone. Downsizing is all about living comfortably and hassle free. With the support from family and friends and us here at Condo Culture, the transition can be smooth and fun. So what do we think the biggest plus is? 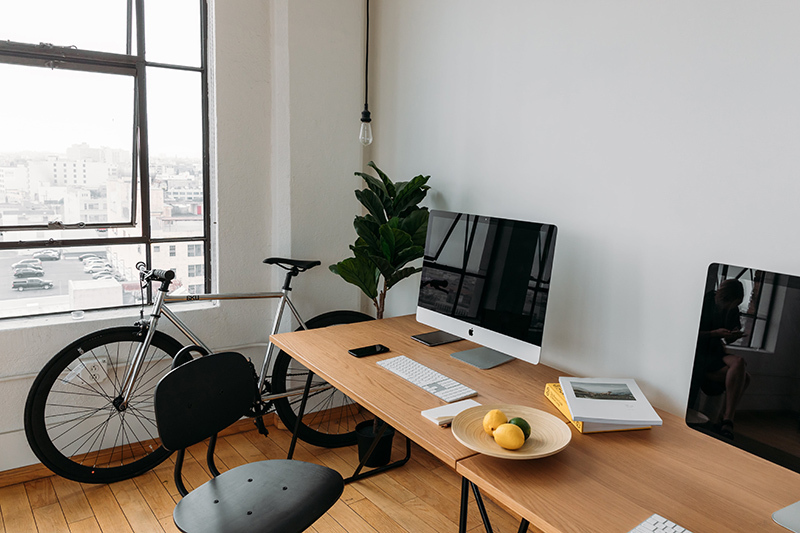 Well if an urban condo is on your wish list, it most certainly is a more walkable lifestyle with less reliance on your vehicle to get everywhere. Walk to work, shop, attend concerts, sports events and pretty much anything else keeps us healthier and happy. Start your condo search with the ultimate in condo specific search at CondoCulture.ca or drop into one of our stores anytime to learn more about what the condo lifestyle could mean to you.